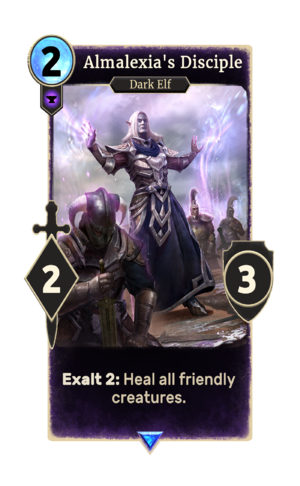 Exalt 2: Heal all friendly creatures. Almalexia's Disciple is a rare Endurance creature card. It is part of the Houses of Morrowind expansion. "I serve the healing mother." This page was last modified on 2 March 2019, at 00:38.